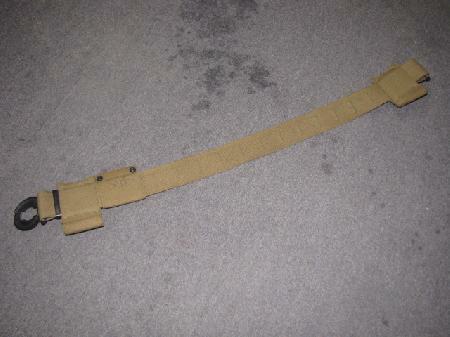 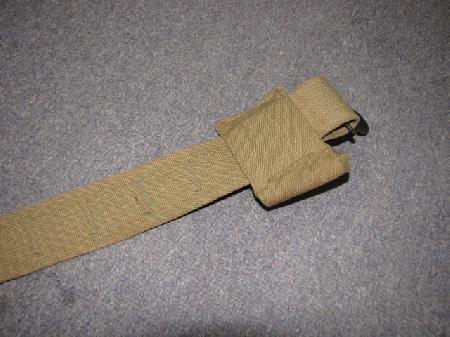 The belt is in near perfect condition with only minor wear. 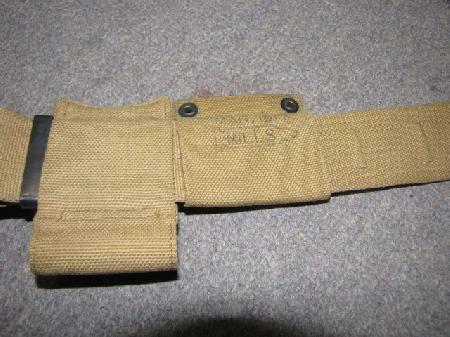 Pouches are the lift a dot snaps. 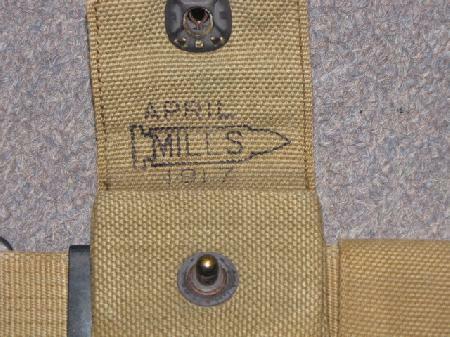 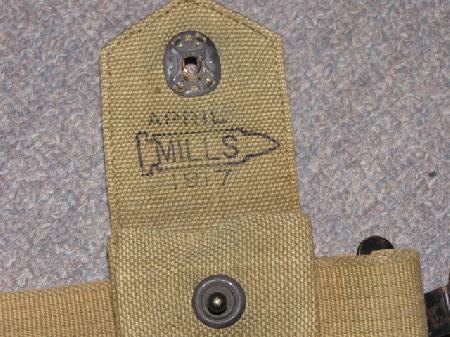 The pouches are 1917 dated and marked Mills. 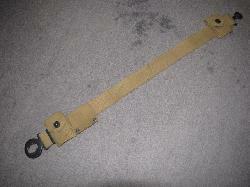 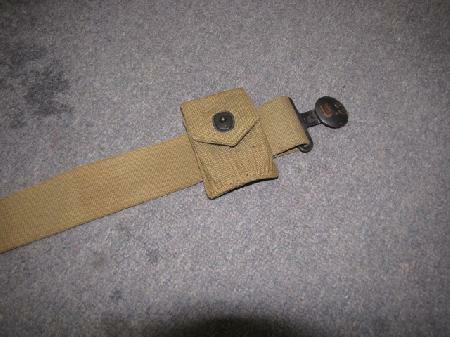 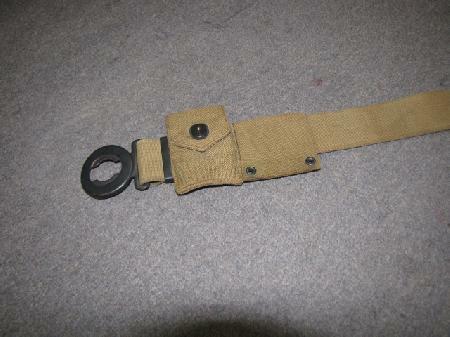 The bayonet belt slider is also included and likewise marked. 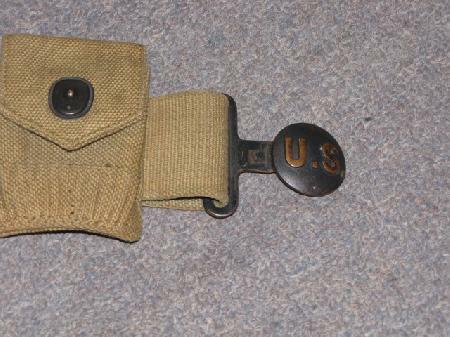 The metal fittings are the darkened bronze color with the US highlighted.